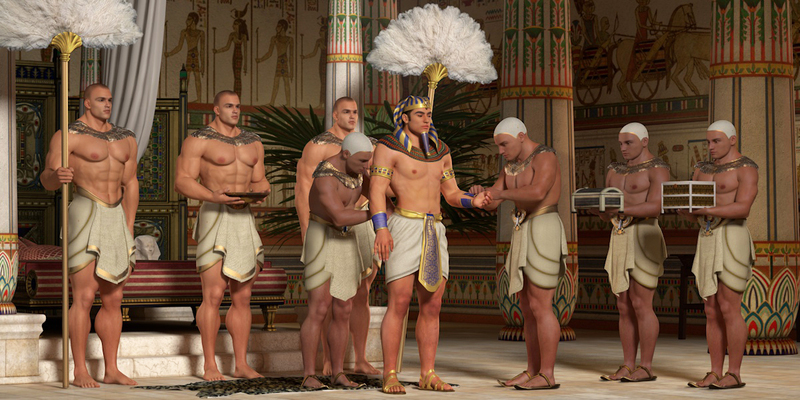 It's been a while since we posted Priapus' fabulous 3D sequence Prince of the Nile (Part I). And it took us so long because we were waiting for his earlier postings to drop out of our Top 10 and make space for his new work. Well, he simply refused to go. We've been waiting for months, for years; he's still dominating the charts. So here he is with his sequel to LustSpiel's all-time number-one post with 17,647 views so far. Priapus of Milet works as an independent 3D artist in the Netherlands. You can support him on Patreon. Great! more of this graphic art!